The 2019 Maison Lejaby Swimwear Collection is a perfect statement of the brand’s mission: clean, modern shapes that reflect an unapologetic bow to femininity and individuality. 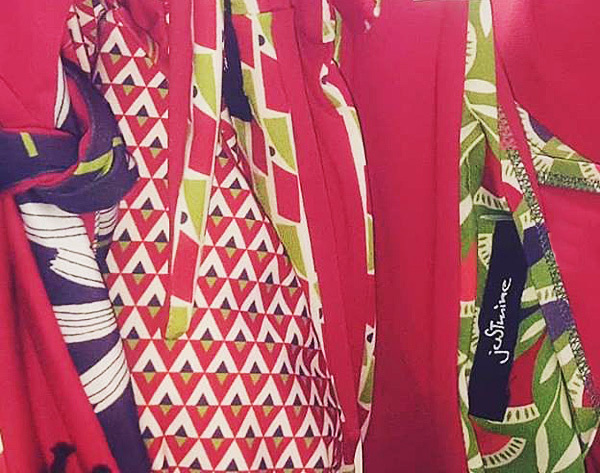 The bold colors and architectural designs melded with Lejaby’s heritage French attitude are a fresh approach to bathing suits meant for a contemporary woman. They don’t break the rules, but they certainly bend them to their ideal. The SCULPT collection (pictured above) is one of many dynamic swim collections constructed with the Lejaby engineering expertise. Comprised of a wide assortment of styles, up to 9 shapes per group, ranging in sizes B-G cups and XS- XL bottoms these pieces are spot on fashion statements. They are constructed in the finest swim fabrics and trims and aptly function in the sun, water and sand. Anyone who knows me knows that I have this thing with stripes. I don’t wear them, but they have a strong presence in my home, particularly in Mexico where vivid color and pattern melding just works. It’s no surprise, then, that I notice them everywhere on the swimwear scene for 2019. Cabana stripes, pinstripes, border stripes, curvy stripes, vertical, horizontal and perpendicular. Stripes with flowers. Stripes with geometrics . Stripe beachwear is prevalent this season. Truth be told, stripes have always been correlated with chic water wear. Just use the term nautical when speaking in fashion terms and they emerge. They are a staple in casual wear. The current incursion of swim to street, like intimate apparel, makes the statement that much more prescient. Aluna Wave, a captivating zigzag pattern with delicate stripes in black and white. This print looks fantastic with the matching bottom as well as a solid black color. The Aluna Wave series can be purchased as mix & match separates and is available in our Rosa Faia and Anita Care collections. Another successful pattern is the Utopia series, which is available in the Anita Care and Anita since 1886 collections. It combines contrasts of abstract leaves in vibrant trend right shades of blue and emerald, which displays a fresh and modern look. The Pretty Dots Series, available in the Anita Care and Anita since 1886 collections, features a retro look with its uniquely shaped white dots with bright pink highlights. The wide selection of styles in this series ranges from feminine chic swimsuits to a charming swim dress. Another beautiful pattern of our 2019 swim collection is the Alani Bay series that unites graphic mini dots with the radiant Hawaiian flower print. The contrasts offered by the floral and graphic prints create a charming retro feeling that can look great with our solid color bottoms in midnight blue and poppy red. The Alani Bay Tops and Bottoms come as mix & match separates and can be combined in various ways. This series is available in our Rosa Faia and Anita Care collections. A riot of colour, a plethora of prints & a hot, sunny Sunday afternoon in Marylebone marked the start of the U.K. Show season with London Swimwear Show. Clearly this show has gone from strength to strength over the last few years and now takes over a large part of the first floor of the elegant Radisson Blu hotel and after spending the day with the creme de la creme of the UK swimwear world, I’m delighted to say that the London swimwear market is alive and kicking with both brands and retailers reporting strong sales, lots of new designers on the scene and a clear investment in technology, innovation, new designs & fabrics from the big-name labels as well as the newbies. 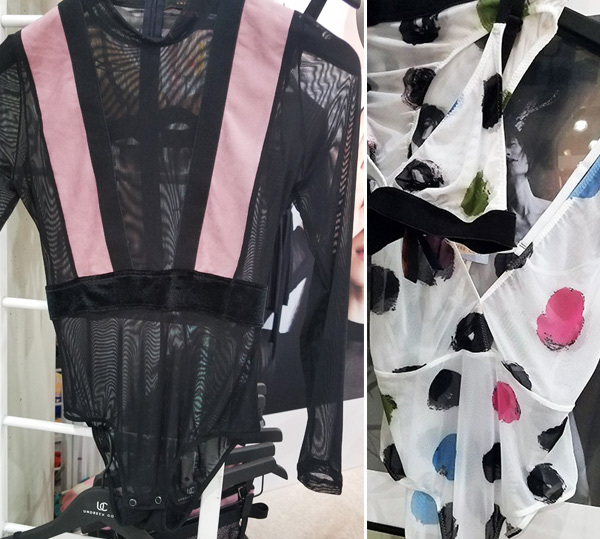 So, what are the hot swimwear looks that will hit the stores for SS19? Here’s the rundown of top trends as seen in London- you heard it here first! Swimwear as outerwear– swimwear is no longer just for swimming or sunbathing, as demonstrated by virtually all the brands at LSS. Whether its ubercool leggings from Goldwater wear, or swimsuits that wouldn’t look out of place worn with a pair of jeans for a night on the town from the likes of Gottex, swimwear is now a mainstream fashion item! Fabric innovation – whether it’s ‘never-considered-for -swimwear’ fabrics such as sumptuous velvet or lace (Sunseeker and She Loves Swim); Luxe looks (Gottex), lingerie-esque bikini tops (Nicole Olivier), gold foil and tan-through straps (Goldwater Wear), sustainable swimwear made from recycled plastic (Brissus , West 79), reversible pieces (Chantelle, Moontide) or even 5-styles in 1 (Curvy Kate), innovation in design and fabric reigns supreme and has allowed some truly stunning swimwear to be brought to market for SS19. Flirty and feminine – if sporty isn’t your thing then don’t despair! With gorgeous girly looks (Guess) checks, frills, ruffles , polka dots…and lemons (Antigel, Agua Bendita, Kai Resortwear- it’s the season to bring out your feminine side too! Mum & Me – With gorgeous kids swimwear from Elizabeth Hurley Beach and Pate de Sable including styles to match Mum, it’s never too early to indulge your little ones – start ‘em young! 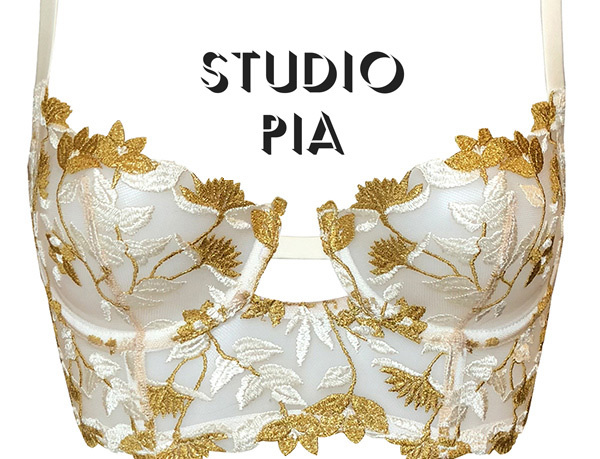 Hot on the heels of London Swimwear Show – and indeed just around the corner, in Blandford Street – came Dessous: the go to place for hip new lingerie and swimwear brands. With a curated collection of the most sought after indie brands combined with an Elvis entertainer to boot, this was the place to be! 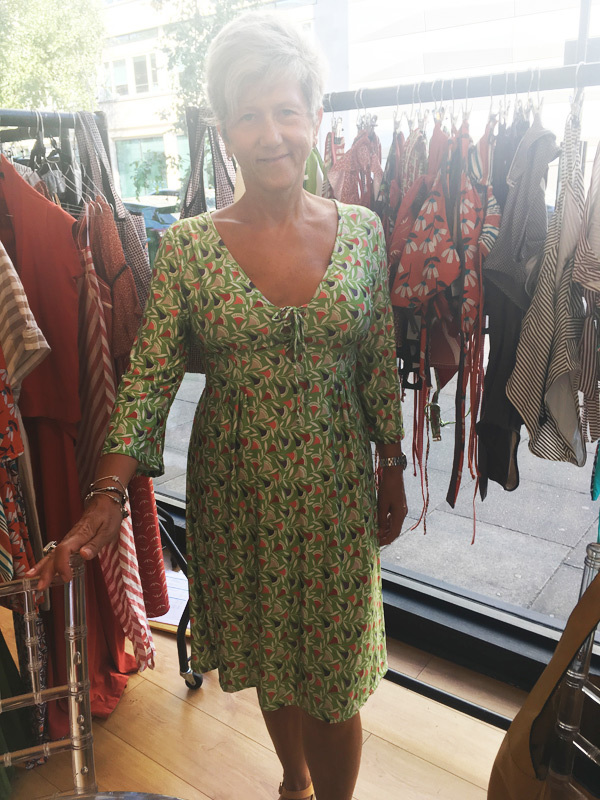 Colour and print – whether its scorching hot pink from With Love Lilly or reds & golds from Pure Chemistry, or sharp geometric prints from Undress Code and Just Mine – the colours are as hot as the weather this summer – roll on another heatwave for SS19! With strong representation from big name brands such as Empreinte, Lise Charmel, Wacoal and Charnos, mixed with edgy newcomers like Gold Water Wear and West 79 plus long-established brands that continue to delight or reinvent themselves such as Pleasure State, Mey and Ralph Lauren, INDX was a serious buying-fest. Time to get down to business and write those orders…. The stars of the show in my opinion? Ralph Lauren swimwear – great, commercial swimwear in classic colours and designs for the more traditional amongst us or polo-emblazoned pieces for the logo lovers. Watch this space – this one will be hot! 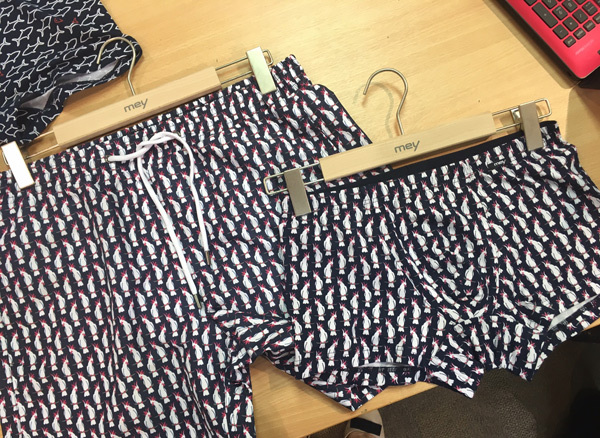 Mey– long established but still lesser known in the UK, this German brand sports lingerie, swimwear and more for men and women and is in my view a hidden gem about to get bigger. I was lucky enough to try the Mey Joan bra – superb fit , gorgeous pale pink ‘daisy’ colour (a pretty alternative to skin tone for me) & super smooth – get in there! Nicola Jane and Amoena – ‘Specialist’ brands boasting styles that everyone will want to wear, especially thanks to the Melissa Odabash name check at Amoena! 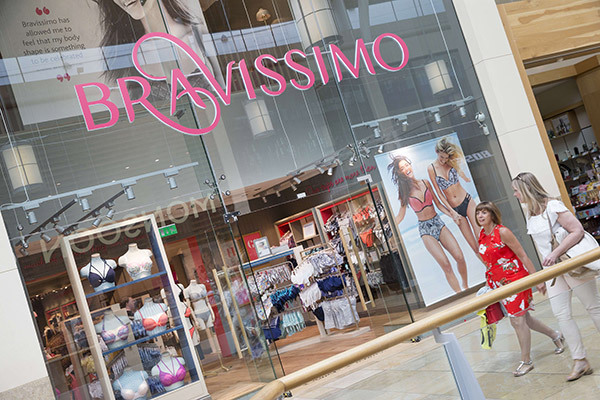 So, there you have it – three different shows but each with some seriously hot lingerie and swimwear.